If you’re a student landlord, you’ll appreciate that properties which are left empty for long periods of time can be a big headache. Students go home regularly, at the end of every term and during the long summer break, leaving their student let empty for weeks and sometimes even months at a time. For this reason, student lets need more attention from the landlord than any other type of buy-to-let property to ensure they are safe and secure. Luckily, Mistoria Estate Agents can help you by managing and maintaining your student let. Regular inspections will ensure the property is well kept and not misused. 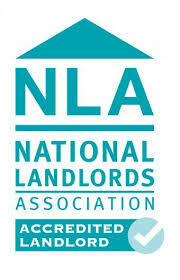 As part of our landlord agreement, we will visit your student let regularly, on your behalf. These visits will also give us the opportunity to check for any wear and tear damage and identify any areas that my need some work, immediately or in the future, to help maintain the overall condition of the property. If we know a property is going to be empty for more than a few weeks (we ask tenants to inform us of long periods of absence) we will endeavour to visit to ensure the house is safe and secure. Student areas can be hotspots for burglars, especially during the holidays and the long summer break. To help avoid break-ins and costly damages to you the landlord, we ask tenants to take with them (or at least hide from view) any laptops, tablets, games consoles and other high-value, desirable items and gadgets. We also encourage content insurance, even for student tenants. A working security alarm is vital in any property, and will often be the difference between your insurance company paying out or not, should the worse happen. The visual presence of a burglar alarm box fitted to the front of a house could be enough to deter a would-be intruder. When a house is uninhabited, the risk of fire is increased. With nobody home to notice or put out a small fire, smoke and fire alarms are the most reliable way detect hazards. Long periods of absence, like summer holidays, are the ideal time to fix any problems in your student let. Even general wear and tear repairs that don’t seem too serious at the moment will gradually get worse, and end up costing you more in the long run. Our experienced team will review your property at the beginning of the summer and ensure any repair work is carried out using our trusted sister company Mistoria Maintenance. And with the property empty for at least a few months, this will give us enough time to complete even the bigger, more intensive repair work.